Catherine Lester, one of the chief architects of Seattle’s response to the region’s homelessness crisis, is stepping down, becoming the second high-level person involved in the effort to resign in recent months. Mayor Jenny Durkan announced the resignation in a statement Friday, saying Lester was leaving Seattle for Toronto to care for her parents. Her last day on the job will be May 1. Lester has led the city’s Human Services Department (HSD) since 2015, when former Seattle Mayor Ed Murray and King County Executive Dow Constantine declared a “state of emergency” over homelessness. Her departure comes at a critical time in the region’s efforts to tackle homelessness. Seattle’s homelessness problem has only become more visible over the course of Lester’s tenure, with city officials struggling to find effective strategies for dealing with illegal encampments, perpetually filled shelters and an affordable-housing crunch that is only growing worse. Her announcement is three months after Mark Putnam stepped down as the head of All Home, King County’s coordinating agency for homeless services. The two officials’ departures come as their respective departments are putting the final touches on policy shifts authorities say are needed to slow the steady increases in the numbers of people living on the streets. 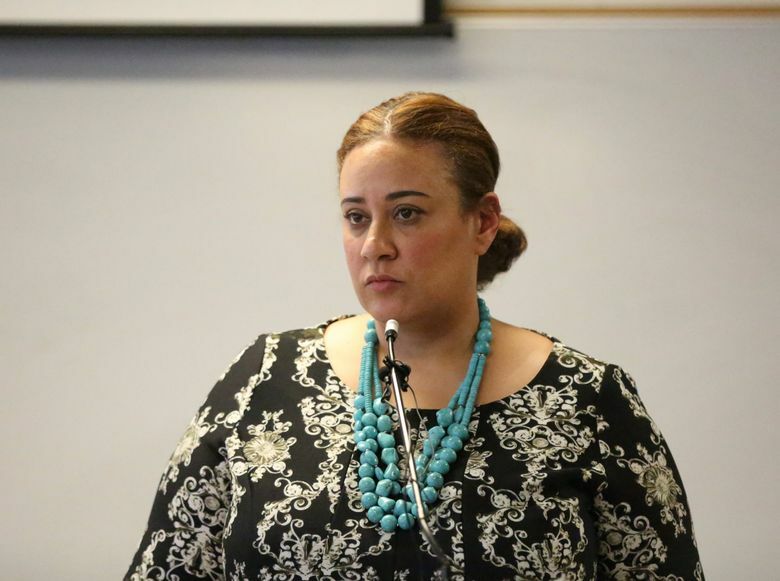 As director, Lester oversaw an overhaul of the city’s approach, culminating late last year when her department conducted the first competitive rebidding process for homeless services in a decade. Lester also led a push to shift from the city’s old model, which emphasized basic survival services for the homeless, to providing wraparound case management services focused on getting them into permanent housing. As part of the strategy shift, the city is projecting it can house 7,400 homeless people by the end of 2018, more than double the previous year’s goal. However, achieving those numbers has proved difficult, with a limited supply of affordable housing in the city and many enhanced shelters still not fully on line. What Lester’s departure means for the future of the city’s homelessness policies is unclear. Human Services Deputy Director Jason Johnson will serve as interim director, effective May 2, Durkan said in the statement. He has been with the department since 2013. Durkan said she will make a decision about a permanent replacement following recommendations from One Table, a regional task force focused on the homelessness problem. Lester said in the statement she was “heartened” by the leadership Durkan is bringing to the city. The overhaul of the city’s old model — which focused on a more basic, mats-on-the-floor model and traditional delivery of homeless services — resulted in major changes in the programs the Human Services Department decided to fund last fall. Many of those organizations pushed back on those changes, particularly a reduction in funding for hygiene and day-center services. Last month, the City Council voted to restore $1 million of that funding. But Lester also oversaw and pushed the department’s focus on working with culturally specific organizations as part of her emphasis on racial equity. As part of the homeless-services rebidding process, the department announced a first-time focus on reducing rates of homelessness among Native Americans and African Americans, as well as trying to increase housing opportunities for Native Americans. Many of the accomplishments Lester detailed in her departure message to staffers related specifically to these racial-equity goals. In addition to homelessness, the Human Services Department oversees and funds services for people with disabilities, those experiencing sexual assault and domestic violence, and low-income families. Before becoming the department’s deputy director in 2011, Lester worked for the Office of Health and Human Services for Cuyahoga County in Ohio. Correction: An earlier version of this story misstated the length of Human Services Deputy Director Jason Johnson’s tenure with the city. He’s been with the city five years.